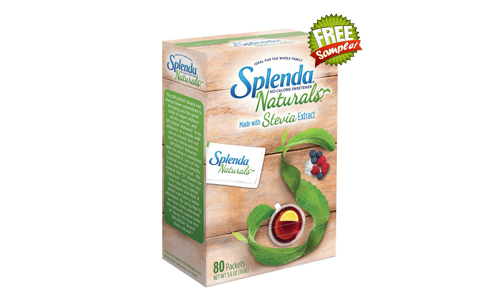 Get a FREE Sample of SPLENDA Naturals stevia sweetener sample! Simply, click on the "Get This FREE Sample" button bellow, then fill out and submit the request form. Allow up to 4-6 weeks for your SPLENDA FREE sample to arrive in your mailbox.